This book review of Kelvin Dorsey’s “81 Days to Becoming an Online Sales Machine” will reveal what that secret is. 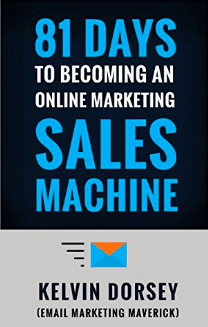 Who is “81 Days to Becoming an Online Sales Machine” for? The word “sales” comes with a pretty big judgment. The truth is that everyone needs to be able to sell. As a teacher, I am constantly selling the idea of taking part in each lesson to learn. Kelvin makes this point better than milk compliments tea. One day Joe went to see an old friend with his tapes, who was now a successful businessman. His friend loved the tapes and thought Joe must be selling loads of these! Joe told him this was his first sale and his old friend asked who he was selling these to. This helps you to advertise to LESS people! Effective advertising is always specific. You should only market to your target market. If you try to sell to everyone you will sell to NOONE. So you still want to know the secret to getting ahead in life? Why does the word “secret” entice people in so much? Curiosity plays a big role in getting your readers to click your links as an internet marketer. If you can do any of these things you’re much more likely to get clicks on your links according to Mr Dorsey. You wake up to the smell of a perfectly brewed coffee wafting down the hallway. You whack open your laptop and check your email. Your coffee tastes good! You scroll down to see payment after payment. Notice the story above uses all of these tips. Have you ever used a thesaurus before? Chances are you were probably doing the opposite of how you should use it when writing online! Instead of using it to find bigger or fancier words… use a thesaurus to find shorter and easier to understand words. Easy and fun to read- reading your work should NEVER be a chore. Need an example to see what KD means? This male homo-sapien is begetting a myocardial infarction in the cardiac blood-pumping organ. What piece of information can you give to make your prospects see their current situation in a different light? Let’s say a course costs $365. This is the same as $1 a day for a year. Would you rather pay $1 a day or $365 right now? It’s important to talk in terms of your audience. This is why tip #1 is so important! Perception is often what causes people to buy or not to buy. Imagine you only have a few months to live. A loved one has asked you to tell them everything you know on the topic you are writing about. But apparently it works for him and you can quickly see how this would make you really think about the content your putting out there! Have you ever found it hard to write with personality? This place is BAWLIN yo! Chicken nuggetz be crispy like you never SEEN. 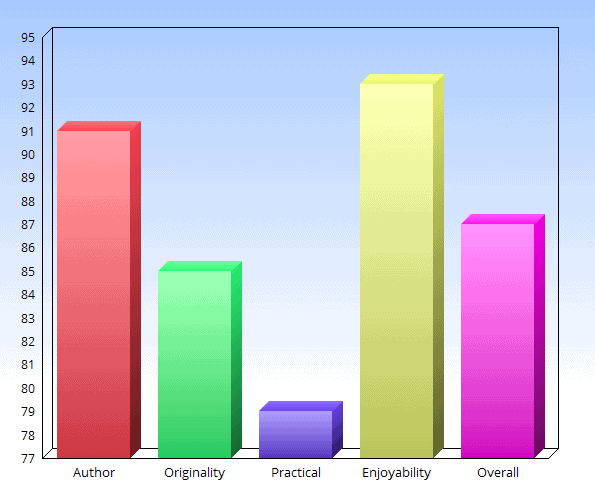 Next time you’re not sure what writing with personality is… read this review then try to write! Check out Tip #4 in this post to see more about how to do this! Kelvin describes social media as being on the kid’s table… everyone is SHOUTING but nobody is listening. Email is where business happens. There is no point in just trying to get as many email addresses on your list as humanly possible though. Just like so many things in life it is about quality over quantity. In an experiment, the group that was stoned was more productive than the group that was interrupted by phone calls and emails. Do the one most important thing- nothing else! The tortoise and the hare story is a myth!! You’re average because you go slow, you’re not slow because you’re average. Kelvin makes a valid point that failure is being put on a pedestal by people looking for success. WHY? Why make mistakes when someone else has almost definitely made them before! Learn from OTHER people’s mistakes and take the shortcut to success. They compound even more when you enter your “BEAST mode”. You go from sputtering along to hell-bent-for-leather! Your concentration becomes like an IRON fortress that NOONE can penetrate. You have boundless creative energy to solve problems and create solutions. You get the point I’m sure! Obviously this is hard to keep up all the time – do this for only a few hours a day and you’ll smash it! Now, it’s great to read books and stuff but unless you take action there’s no point. You may have noticed that I have tried to do stuff KD recommends throughout this post… Remember #5- it’s important to give a bonus to boost perceived value… well here are 2 bonuses! 1. You must have something GOOD to sell. You could be the worst salesman in the world… but if you can put an amazing product in front of a group of people that are prepared to pay for it… you will sell! 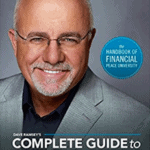 It is jam-packed with jaw-dropping tips. These tips above are some of my favourites but remember there are 81 of them and I have only given you 12!! p.s. If you have any questions and I mean ANY questions about this book, please leave them below. p.p.s. 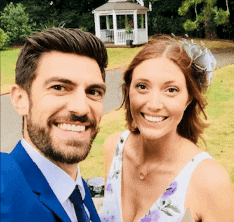 If you have read the book before or used any internet marketing techniques before I’d love to hear from you too. p.p.p.s. 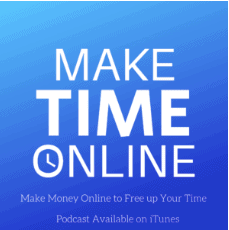 If you are interested in making money online to free up your time, have a look at my #1 recommended program here, which I am currently using. I’m going to add this one to my list of 52 books in 52 weeks in 2019. I particularly loved the tip on using simple English. I could learn from that!! When I read a book I am completely present with what’s going on. Online I have about 50 tabs open and as soon as I’m bored I’m off to somewhere else! What other books do you have on the list? Sounds like an awesome challenge… I may join you!! I was looking for a good book to get my business partner and SOOOO glad i found this review! he loves internet marketing and also likes rough language so this is probably perfect for him. Not only that i now have over 5 books to get him as you were very awesome to list some other solid books. My amazon cart is going to be full thanks to you! If you have any interest in internet marketing this is the book for you! It’s so easy to read, funny and packed with amazing useable tips. The other books he recommends seem very good too! 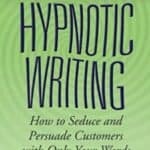 I’m just finishing “Hypnotic Writing” and this has even more detail about specific words that are used at different times etc. p.s. I hope your business partner enjoys the book, please let me know how he gets on with it! I was a lot more intrigued by this post than I expected I would be! Which is maybe because of how you have it written, I like it. I think I will purchase the Kindle version, as I am a beginner, and putting humor into anything tends to keep my attention much more than a textbook boring read. Multi-tasking is my worst enemy. I’m guilty of doing it pretty much everyday and need to get my poop in a group and take one project at a time! Thank you for the information! Kelvin’s humour had me hooked on the book and there’s some great takeaways from just reading his work. Thanks so much for stopping by again! It is one of those books that is too good not to recommend and like you say it’s so cheap it may as well be free! Wow. I just spent over 15 minutes reading over this review. That is exactly what I want to be like. I just want to be down to earth and be myself. I am absolutely going to be getting that book. Im hooked and feel like I need more already. Just your review has left me addicted. I cant wait to read all the other pointers that are listed in the book. Once again thank you for writing this and letting us know about it. I learnt so much from the book and it’s so reasonably priced it’s pretty much a freebie. Kelvin has a great writing style and it’s easy to pick up tips just from reading his work.